Dear all Docomo Galaxy Note 9 Docomo users! For now, you can unlock carrier locked your phone for free. When coming to unlocking a phone, many of you usually think about third-party unlock service provider to make your phone become unlocked version. However, you will need to pay money for them to unlock your Docomo Galaxy Note 9. 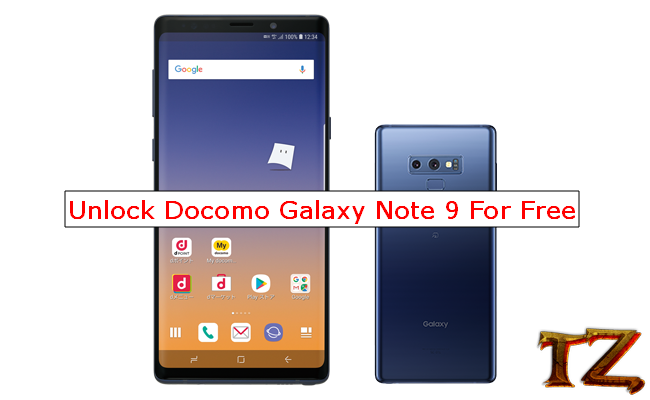 So, to help you save up your money, this post today will show you a free way to unlock a Docomo Samsung Galaxy Note 9. Check Know and Void Warranty, they must be 0x0. If they are 0x1 or another different thing, you cannot unlock your Note 9. Once you meet all the requirements, let’s start unlocking your Note 9. Step 4: Finally, insert a SIM card from another carrier into your Docomo Galaxy Note 9. You will then be prompted with entering an unlock code. Simply type the code you just received. Click on Unlock and your phone will automatically update the carrier. That’s how to unlock Docomo Galaxy Note 9 SC-01L for free. If you have any question, let’s know in the comment below.